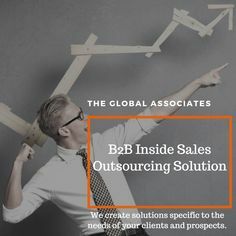 Working with a clean, top-quality database is an essential prerequisite for any sales organization to successfully run The Global Associates Lead Generation in India effort. It becomes very difficult to effectively maximize lead generation in India if your database is full of errors, dupes or inconsistencies. This will result in sheer wastage of time and man hours, and cause frustration among your employees. A strict quality control regime and effective monitoring mechanism are necessary to keep your data clean and maintain your efficiency. Putting in place strict quality control mechanisms becomes essential to make your lead generation in India program a success in this era of internet revolution. There has been a data explosion in the recent years, you should know the trick of finding relevant data and purging it as per your needs. Identifying the essential components of clean data is the first important step in this direction. Following is a brief discussion on some of these components. Accuracy of the data is, of course, the most important component of good data. Your data has to be error-free, correct in every sense. If entries like the names, designations or the phone numbers etc of decision makers are incorrect or incomplete, you are going to lose time and resources. Any intentional or unintentional errors cause frustration among the employees and affect your efficiency. You cannot expect to successfully boost lead generation in India working with an incomplete data. The completeness of data is gauged on two levels; first, on the macro level- all the records you need: the names of all the companies you deal with, the contact details of desired decision makers, and so on; and second, on the micro level, all the relevant fields and information in these records, like the names, phone numbers, email addresses, designations of decision makers and referrals etc. You must develop the habit of working with a clean database to make your lead generation in India effort a great success. Understanding the essential components of good data will help you achieve this objective. We shall continue discussing these components in our next post.